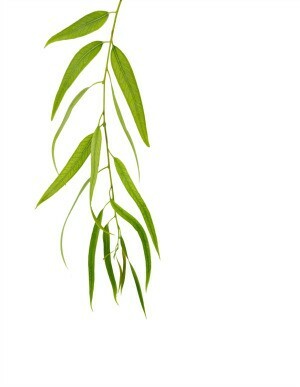 Eucalyptus branches are a beautiful and fragrant addition to flower arrangements and many crafts. This is a guide about preserving eucalyptus branches. I understand that glycerin can be used to preserve eucalyptus branches. What proportions should be used and how long should they soak in the solution? Quick guide to drying and preserving eucalyptus. There are many varieties of eucalyptus. The most common form is Eucalyptus globulus which is also known as the "Tasmanian Blue Gum" tree. Eucalyptus dries and is able to be preserved very well. There are a couple of methods to choose from. One is the simple method of air drying which just involves hanging a group of stems together upside down in a well-ventilated, dry, dark place. You will want to ensure that the area you choose is not a damp or humid area as that will encourage mold growth. A rubber band can be used to bundle the stems and branches together and that will allow it to remain tight when the material shrinks. This method usually takes two to three weeks and will result in a stiffer structure to the leaves. An alternative method, one that is commonly used by florists and on the eucalyptus found in craft stores, is to use glycerin. Just add one part glycerin to two parts boiling water to a vase and place the fresh cut stems in it. The glycerin will enter the stems and allow the branches and leaves to retain some flexibility and be somewhat pliable when dry. The use of glycerin enhances the blue-green color of the leaves. You can find glycerin at drugstores and some craft stores. I suggest using both methods. First the glycerin method, then hanging the eucalyptus cuttings to ensure they are dry. I personally don't like using the hanging method alone as the leaves become brittle and the results just don't look as nice in my opinion.